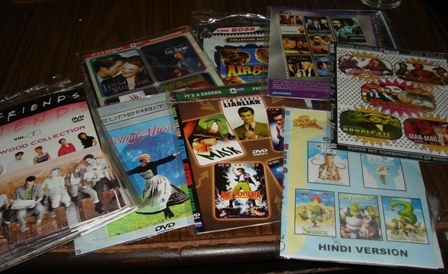 The Local markets here in Dwarka, New Delhi are flooded with pirated movie CDs and DVDs. But that’s not news. Those pirated CDs and DVDs are everywhere in every city. What is new is something called a DVD9. A DVD with around 25 to 30 movies in one at the cost of around INR 200 which is negotiable. I don’t know if these are pirated or not but in all probability they are unless these movie producers have let go of their copyright. Seems to be made in some South-Asian countries from the various stuff written in those script on it. 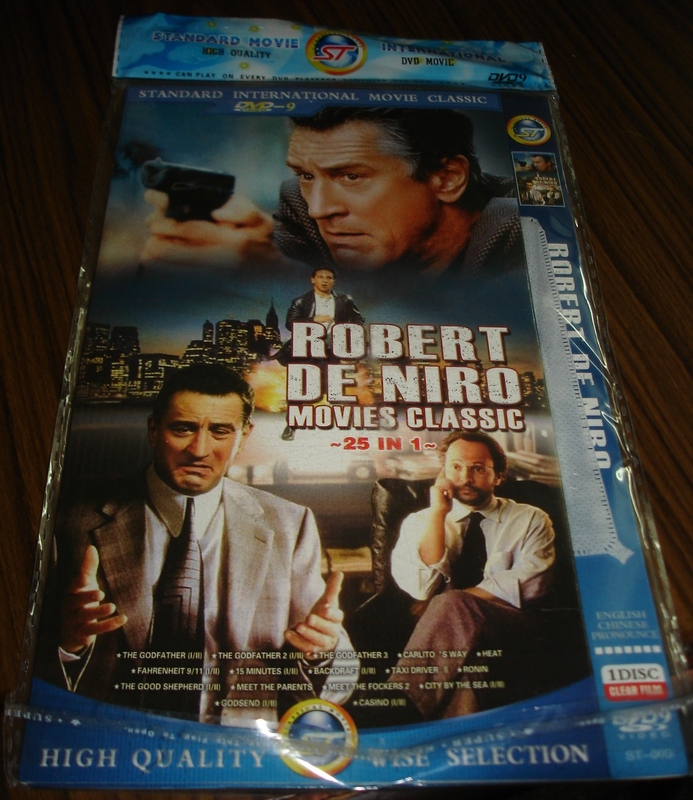 The various collections are pretty interesting, I bought a best of Robert D’niro. They have best of Tom Cruise, they have a Gangster movie collection which has all these Martin Scorcesse movies, they have Julia Roberts collection, Walt Disney animation collection. But what is even more interesting is they have something called ‘Korean romance collection’ ‘French drama collection’. So its obvious that the piracy industry is growing by the day and they definitely have nexus with the police. But here’s the thing. Why can’t they sell us the originals at little less price. An original English movie DVD costs around INR 500. Do they really incur that much cost in making them? How come Moserbear can sell them for INR 40-50 then? The piracy industry would stay as long as the original’s cost won’t go down. Why would anybody pay such huge cost if they can access to have such cheap substitutes and the quality ain’t bad either you know.